First things first. Haven't posted in a while. Only really posting because I felt this was way to long for a Google+ Status. Will I post more in the future? Maybe! Anyway posting time! I'm getting a new computer! A Dell XPS 12 to be exact! In case you don't know already, the XPS 12 is Dell's (quite good IMO) idea of an Ultrabook convertible. It can be used as a standard touch screen laptop, but can also pivot 180° over the horizontal axis for use as a pretty sweet tablet. It's a great computer, but it ships with Windows 8, which can be seen as good or bad. Clearly I want this to be open source. I'm talking good old GNU/Linux. But I don't really know what distro I should use. What desktop environment will work best with a touchscreen? Being a creature of habit, I go right to two distros, Ubuntu and Arch Linux. Probably one of the best known Linux distros made, Ubuntu (and its parent company Canonical) aim to be the ones to put Linux in the limelight; to really get the word out and get people using Linux. It's one of the easier distros to install and use. With the addition of things like Ubuntu touch going to coming out at the end of the year, Ubuntu may be a good choice just for the ecosystem it will create with its sibling Ubuntu Phablets. But I don't like the choices Canonical is making. One of the things I like the most about Linux is the way open source technology spreads around. The whole Linux community gets together and improvements made on one distro are often moved upstream and everybody benefits. This is how it should have been with Wayland. For some reason Ubuntu went its own way by creating Mir. Now Ubuntu can make its own choices of course, but I can't see why Ubuntu wouldn't use the progress already made with Wayland. Wayland isn't new, but it can still be improved upon. Instead of working with current Wayland developers to adapt and improve Wayland to fit their needs, they assumed it would have all the problems X has and started from scratch. So with two standards, and with no clear "better" standard, compatibility issues start to arise at support and driver levels. If Ubuntu is successful with talking to hardware vendors to get good Mir support, it is possible that these hardware vendors won't work with the rest of the Linux community to get Wayland support. And I don't blame them; who can? If I was a hardware vendor, I wouldn't want to publish tons of different drivers for Linux. The problem is there was no reason for them to choose at all before Mir entered the picture. With Canonical and the whole Linux community supporting Wayland, there wouldn't be any fragmentation and hardware vendors would be more willing to write one driver to support most all of the Linux community If Ubuntu found something with Wayland that was a problem, they should have fixed it not thrown it out the window. Anyway besides all of that, Ubuntu is easy to set up and use. Installation wouldn't take long, things like Encryption would be set up no problem, and there would be a how to guide for EVERYTHING I could want to know how to do. Ubuntu PPA's can be found for most all Linux software, and if not a ppa, a guide for installing it on Ubuntu. It's supported. I'm gonna start with this: I LOVE Arch Linux. I just love taking a basic shell running on a live cd (usb) and building Linux the way I want it from the ground up. But why I love it is also why I might not want to use it. To set up an eCrytpfs on Ubuntu I just select "encrypt home directory" when I'm installing it. To do it on Arch Linux I have to do a lot more sets, like how it is outlined here. Now I consider myself an advanced Linux user. No part of the eCryptfs set up looks to difficult or complicated to me, and I feel I could set it up and have it running just as well, if not better, than Ubuntu. But do I want to do this for every part of the system? What about systemd vs upstart boot times? What about encrypted swap? Hibernation? Touch-Screen driver support? Touch-screen drivers are included in the Ubuntu 13.04 kernel, but I don't know if they have been ported upstream. If not I would have to patch the kernel myself; I'm not using an Ultrabook convertible without touchscreen support. Arch Linux is by far a better OS to me, but it is worth the extra work to set up? Is it worth the work setting up Arch Linux because I don't like Mir? And then there is the Desktop Environment. Regardless of what distro I use, I need a good Desktop Environment based for touchscreens. If I'm gonna use my computer as a tablet, I should be able to do almost everything by touch in a natural way. Basis aide, both are actually make for good usable shells. Unity had its problems at first but after using it for a while, it's fast and has some neat integration, even it wasn't the best looking. Gnome Shell, on the other hand, has always looked great to me; I'm a big fan on minimal interfaces. But I don't know how well it would work with only touch, and I think I would miss the HUD Unity has. (When you press alt and type print or save and you access that command as if you went File -> Whatever) I've grown to love that feature because of how fast I can access menus. Unity will (read: should) also tie in well with Ubuntu Touch devices when Unity Next is released. Even if Gnome shell is better, using the same shell setup on my Nexus devices and on my XPS would great. Having one gesture and app work across all form factors? That's hard to beat. I was gonna post about more concerns I have with encryption and things like Intel Rapid Start, but this is a long blog post as it is, so I'll think I'll save that for another day. So if you made it this far in the post, what do think? Is Arch Linux worth the extra effort? Is Unity the best touch based shell? Gnome 3? Something I haven't even thought or heard of? Whatever I decide though, I think I'm gonna document my experience with my XPS on this blog. I've always liked blogging, just always been to busy (read: lazy) to post more. I hope this post or future ones will help somebody out someday. *Oh and side note, should headings be capitalized like titles? I like grammar but I'm far from a NAZI. 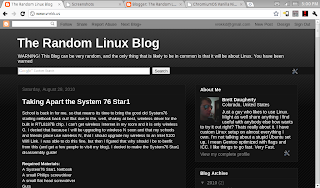 If you have been following my blog, or just read my last post, you would know that I am been using Chrome OS and the primary OS on my Starling Netbook. It is trully awesome, but there was one flaw that almost made me not install it. I could not listen to my music! 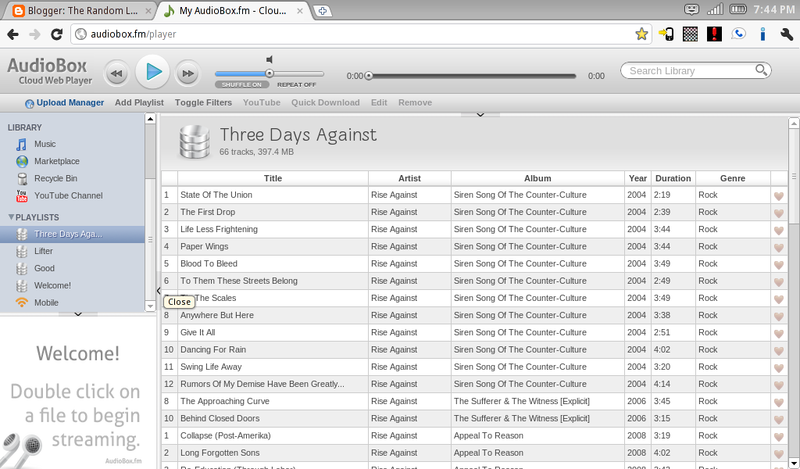 With Chrome I was unable to play my music library like I can on Arch Linux, so I needed to find a solution. Did I ever say there is nothing Google can't find? Well its true. A quick little Google and I found a neat little web site called audiobox.fm! Audiobox.fm is a HTML5 based web app. Its your itunes in the clouds. It everything that you would expect in a music player, playlists, shuffle, repeat, and they even have plans to include a marketplace. It can integrate with YouTube, last.fm, twitter and even dropbox if you have one. If you have a mobile phone with web access, you can open up audiobox.fm and listen to your music on the go. If you have an iphone or android phone, they have apps for those as well. So with all of these cool features, you would think that this would cost a lot of money right? Wrong. For people who no money to spare, you can get 1gb of music storage along with unlimited music streaming for free. If you need a little bit more space, 11gbs is 3.99 a month, $7.99 for 26, and $9.99 for 151GB of space. With the higher plans you get more features, but they all have unlimited streaming. The beautiful thing is that you can listen to your music on any web enabled computer. You dont need a fast connection for it, but you cant use a slow one either. For anybody who loves to listen to music like I do, and switches off between a lot of computers, I highly recommend it. The plans are cheep and you get access to your music on the web, even on Chrome OS. Well thats all for this weeks post, come back next week for something. I don't know yet, but something. I have had a lot of free time lately. Probably way to much, but whenever I get free time I always like to mess around with (and break) my computer trying to improve this and that. Well the other day I decided to try Chromium OS on my netbook to see how it ran, and well I like it. The netbook used for this test is a System76 Star1 with a Intel 5100 wifi card. 1: Making a bootable flash drive. This is probably the hardest part of getting Chromium on a netbook. Because it is not released yet, you have to go to the project page and build it yourself, which franly takes a while, so if you build it from source, I recommend your computer has some real horse power behind it. BUT, even if you don't have a super powerfull pc, the time, skill, or will to build it from source, Hexxeh has been kind enough to host nightly builds for us! 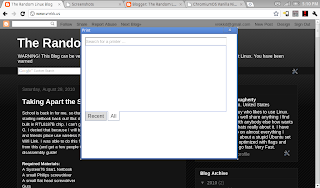 You can grab one over at http://chromeos.hexxeh.net/vanilla.php As of right now, and nightly build built after 8-17 fails to display anything on the screen, so you should grab one older than that if you want to test it. 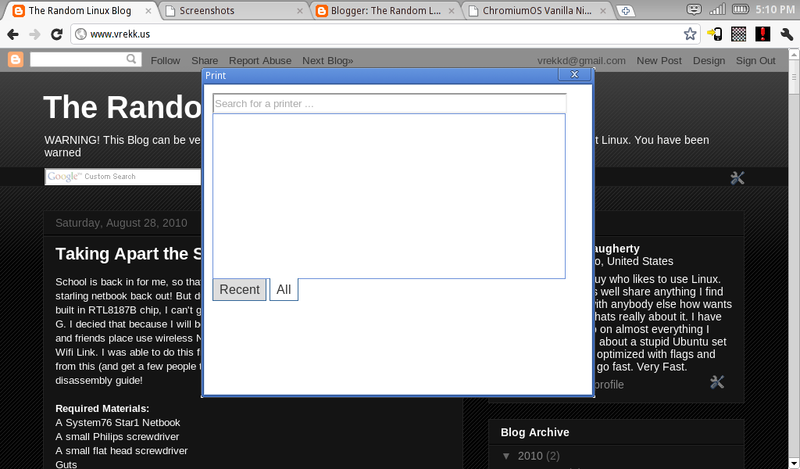 Hexxeh also overs a modified version of chromium that he calls Flow. It is not as bleeding edge, but it supports more hardware and is more stable. His site covers everthing you need to make a bootable flash driver, so I'm not going to cover that here. Once chromium was installed on the computer, it booted in about 9 seconds, which is very good considering my computer was not built to run chromium. This time I did not need to choose my local network, and my username was already filled in for me. But enough about installing and booting it, lets get down to the good stuff. Chromium OS booted lightening fast and got me online in seconds. 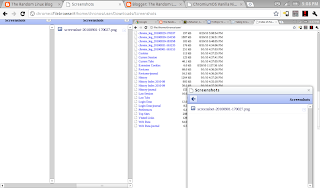 After loging in, you are greated with the chromium browser and the web at your finger tips. One thing that I really liked was that when I went to open my Gmail, I was logged in already because I had used the same google account to sign into the OS. Overall web page viewing was fast and stable, with things like youtube and HTML5 working flawlessly. I was able to edit files online with Google Docs, and even play music with a neat little program called AudioBox (Next weeks blog). The browser is stable enough to do anything I wanted online, and I am even writing this post on it. Any OS and every OS has its flaws, and for being a developer build of Chromium, it has surprisingly few. The biggest problem I had with it was being unable to find the shutdown button. I can't find one anywhere in the GUI and pressing the hardware power button didn't do a thing, so to power it off I had to login, press crtl - t, type shell, then sudo poweroff. It was not to big an issue for me, because that is normally how I turn my computers off, but it is kinda of a lengthly process just to turn it off. Another gripe of mine was trying to take screenshots for this blog! 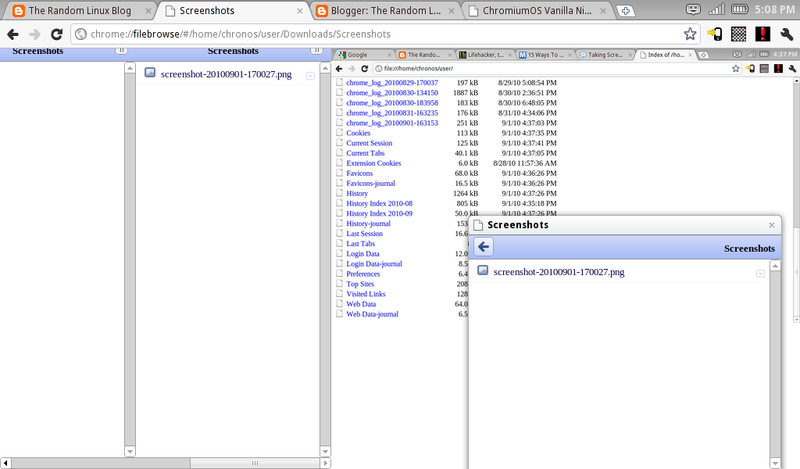 It took some googling to find out that once you press the PrtSc button, that a screenshot is saved, (with no feedback given) to /home/chronos/user/screenshots. Its not a big deal but knowing that a screenshot was taken correctly is normally nice. I'm not really sure if this one counts as a con really, its more of a missing feature, but you can't yet print with Chromium OS. Printing using Google Cloud print is moving along, but with no way to add a printer, it is really kinda useless. As you can see, the list is printers is, well empty. 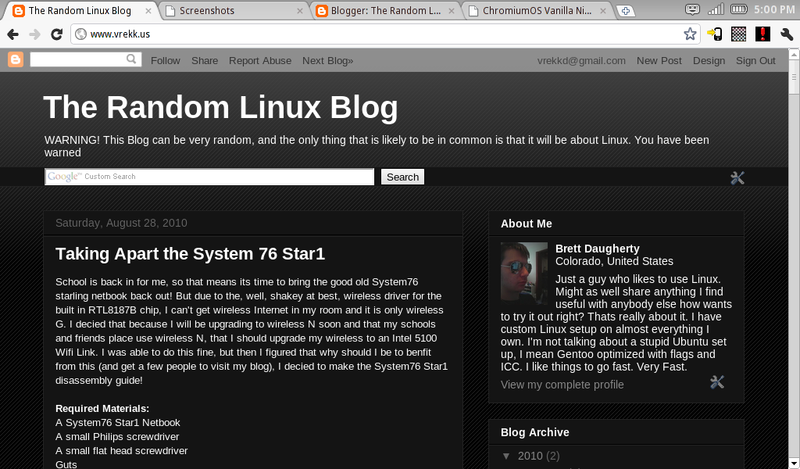 So for Chromium has supported my netbook very well. All of my leds work, my sound works, and even my webcam works out of box. One thing I did notice however, is that even though my wireless card supports Wireless N, the driver used my Chromium does not seem to support it. As a test I swapped out my Intel card with the Realtek card that came with it, and I was shocked. I was able to connect to my Wireless AP from my room flawlessly, something that I just can't get to work with any other distro. This is quickly becoming my primary OS for my netbook. Its fast boot to web gets me where I'm going and really just gets the job done. No fancy bells and wisells that I don't need, just chromium. If you have a netbook and all you really do is surf the web, I encourage you to grab a spare flash drive, download a hexxeh build and test this puppy out. It is really a lot of fun. If you got any questions just email talk@vrekk.us or leave a comment!